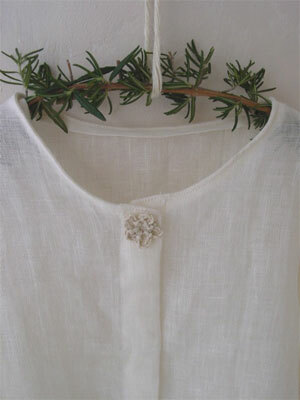 repeat 15mm&amp; 40mmm.collar White&amp; Flax.for blouse,curtain,handkerchief,ets. 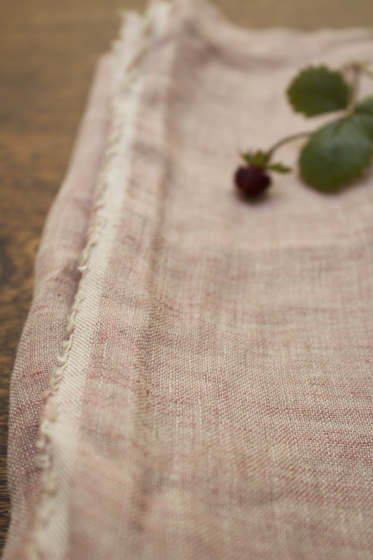 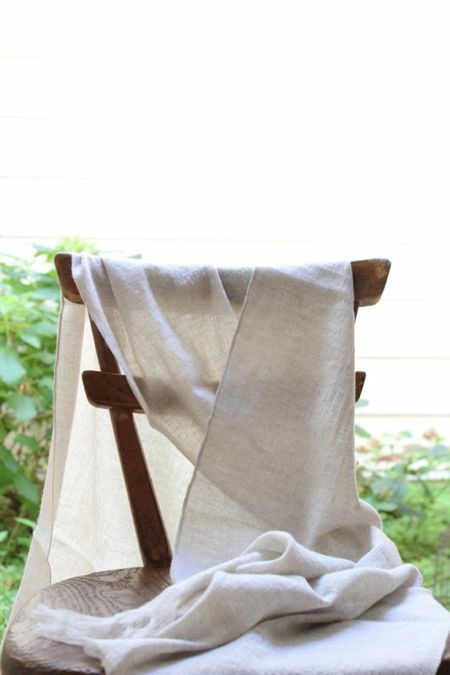 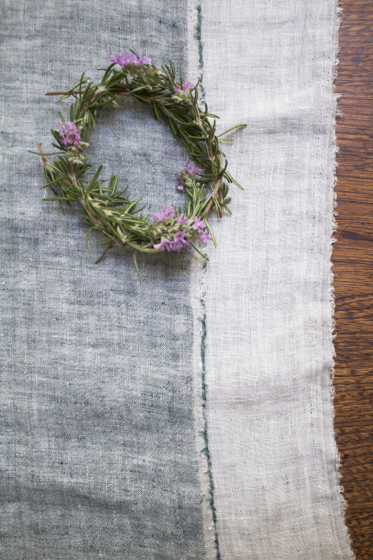 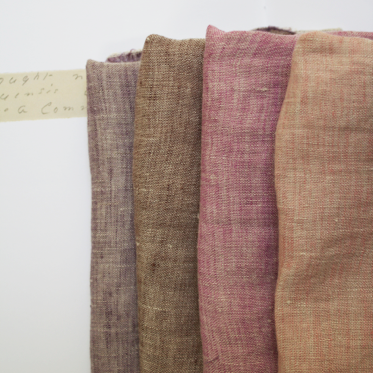 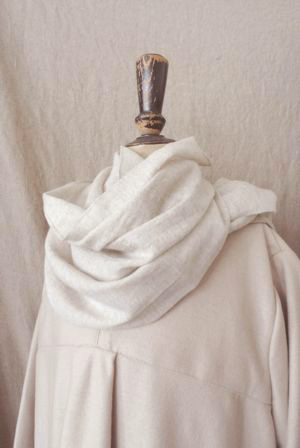 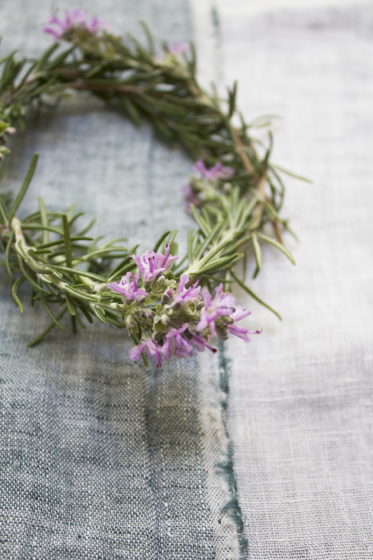 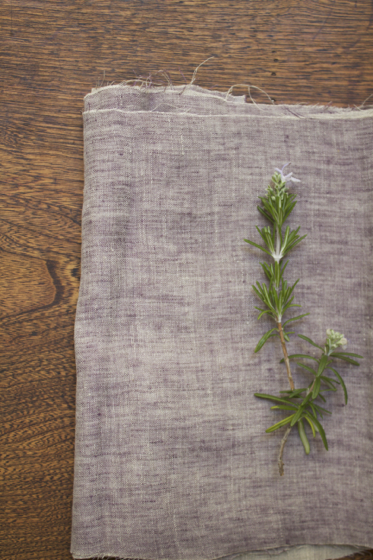 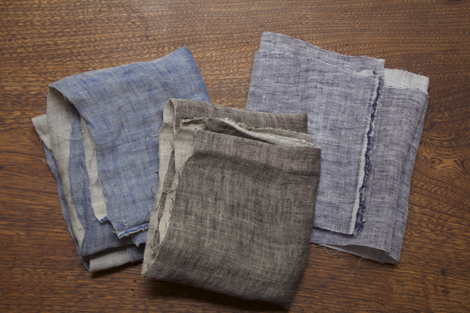 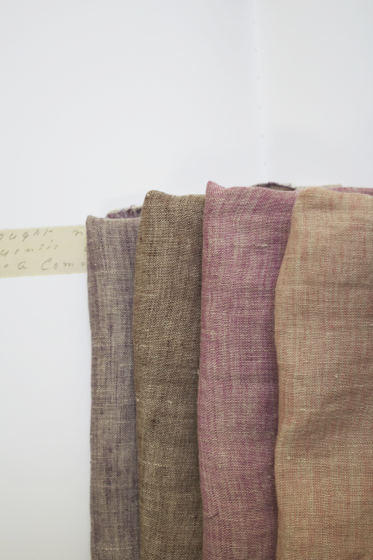 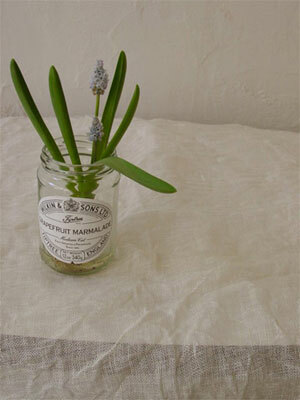 Double woven linen gauze, reversible as color or Flax or White. 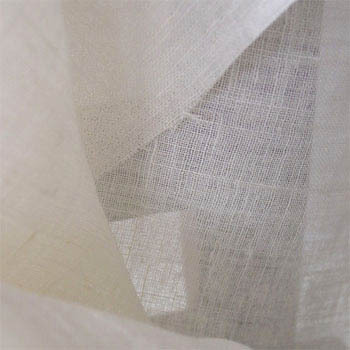 Suitable for various projects such as garments, hankerchief, devet cover and so. 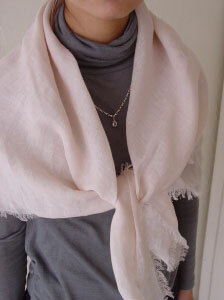 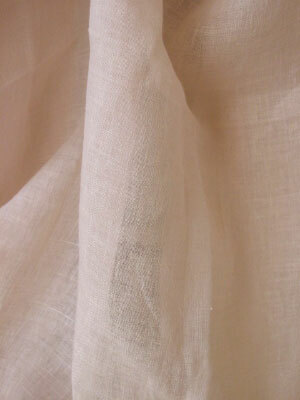 Double woven gauze, reversible as pinkbeige or flax. 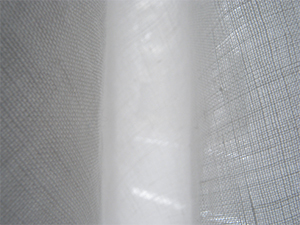 Suitable for various projects such as garments, hankerchief, devet cover and so. 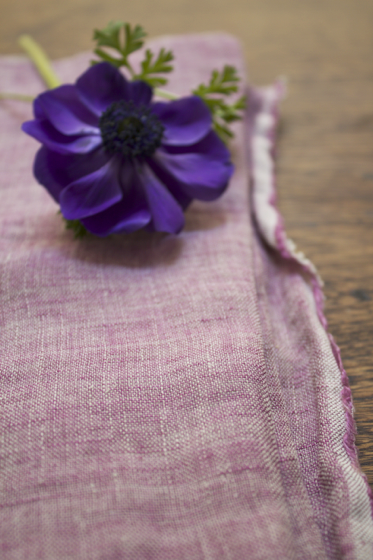 Double woven gauze, reversible as red purple or flax. 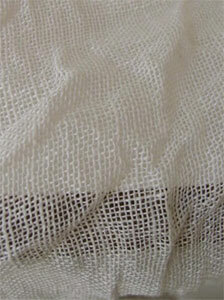 Double woven gauze, reversible as brown or flax. 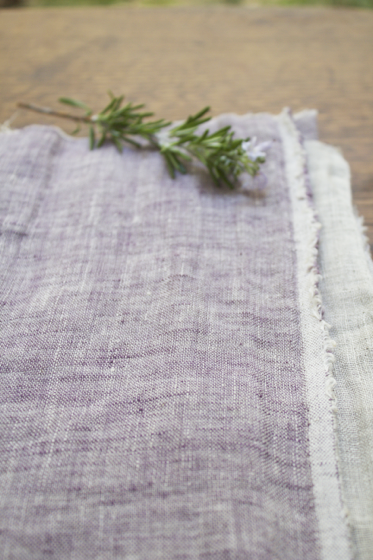 Double woven gauze, reversible as purple or flax. 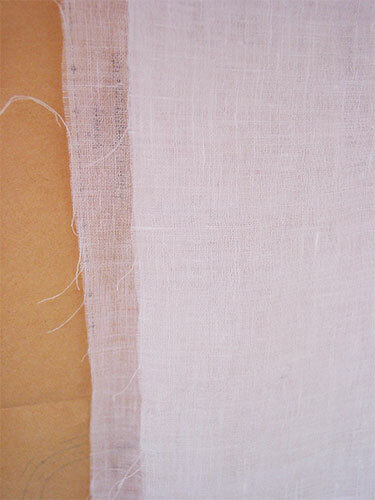 Double woven gauze, reversible as agate buru or flax. 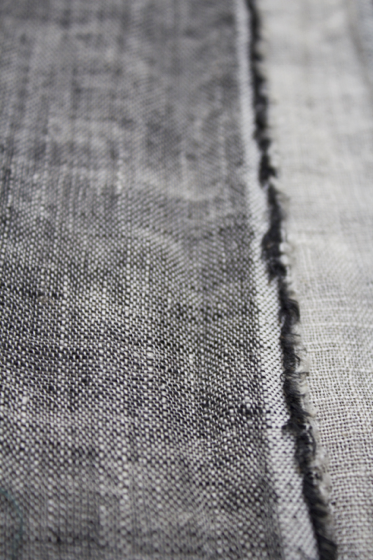 Double woven gauze, reversible as charcoal black or flax. 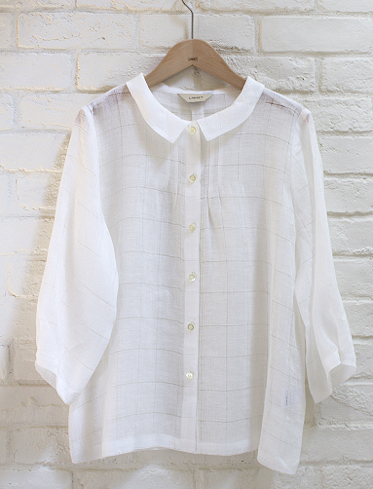 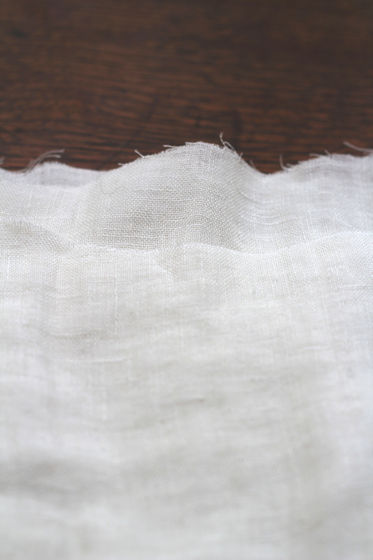 Double woven gauze, reversible as white or Navy. 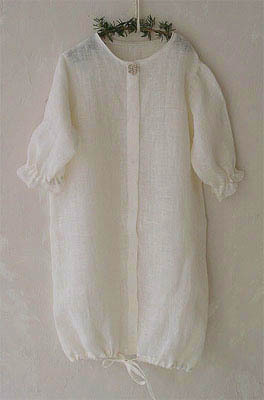 Double woven gauze, reversible as white or rosemary green. 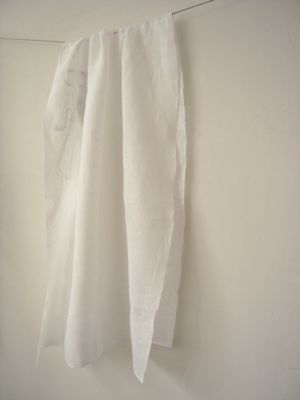 Double woven gauze, reversible as white or white. 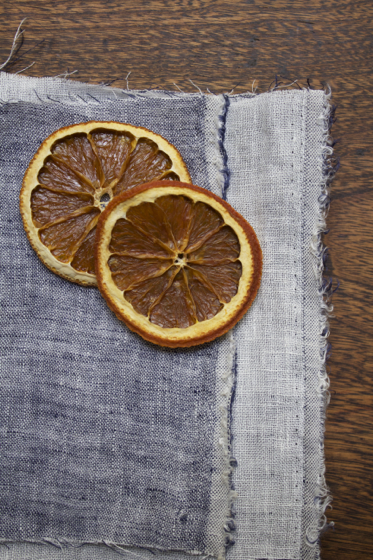 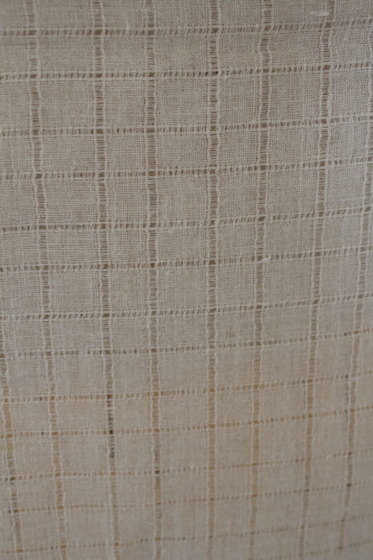 Double woven gauze, reversible as Tangerine or white. 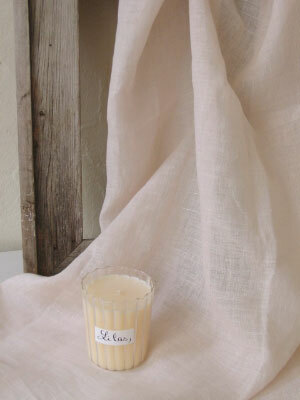 Double woven linen gauze, reversible as color or Flax or White. 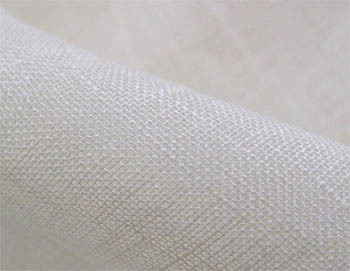 Delicate and soft in touch, high quality , and also durable, as this fabric is woven by tightly twisted yarns. 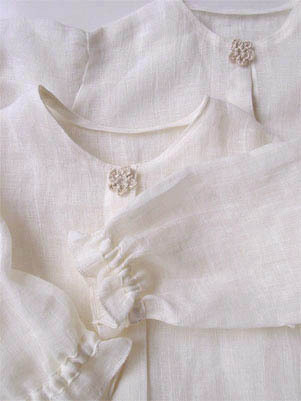 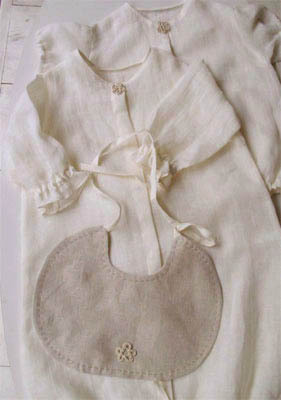 Being suitable for the baby's garments, curtains and also as ladies brouse, chemise, petticoat and skarf. 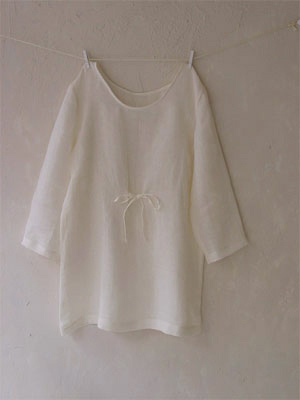 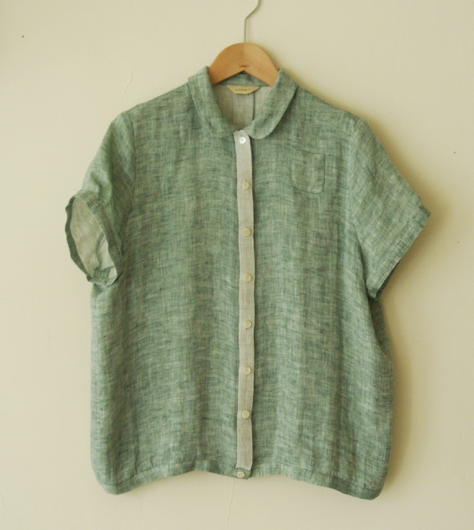 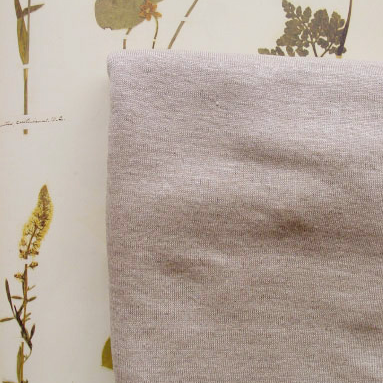 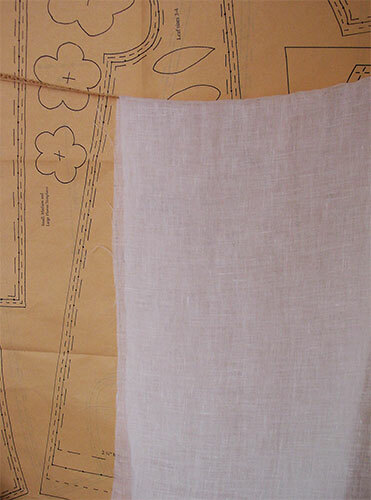 You can make a large skarf with Linen Gauze with１m cut. 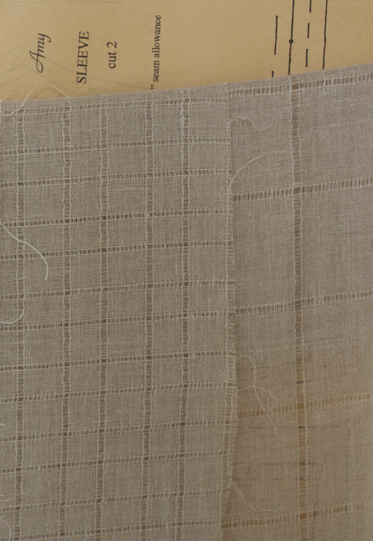 Just cut the fabric exactly by 1m*1m, and take yarns away in 4 edges to make fringes by 2.5cm length approximately. 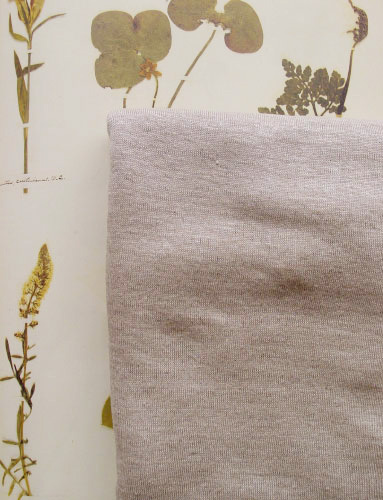 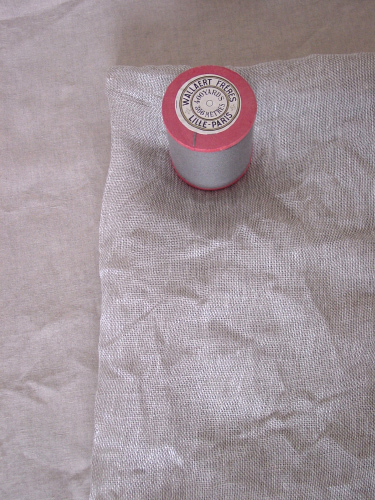 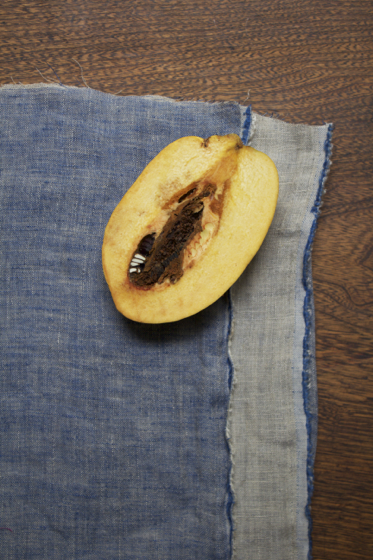 Linen fabric to be used for making jelly. 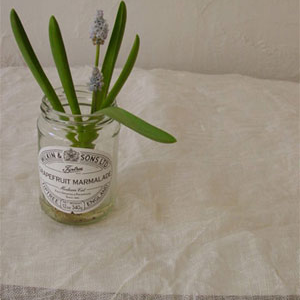 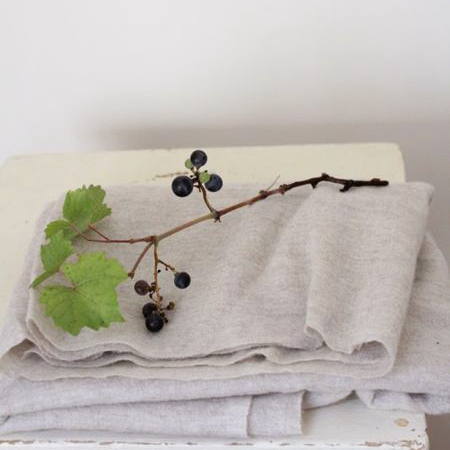 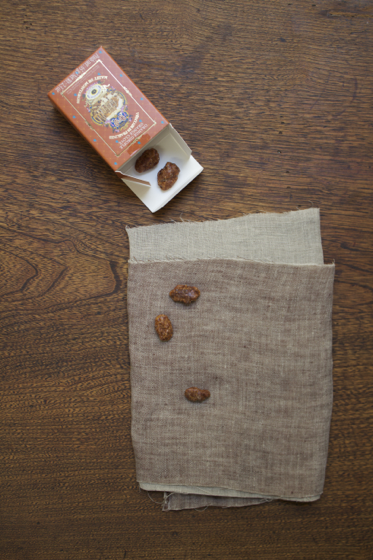 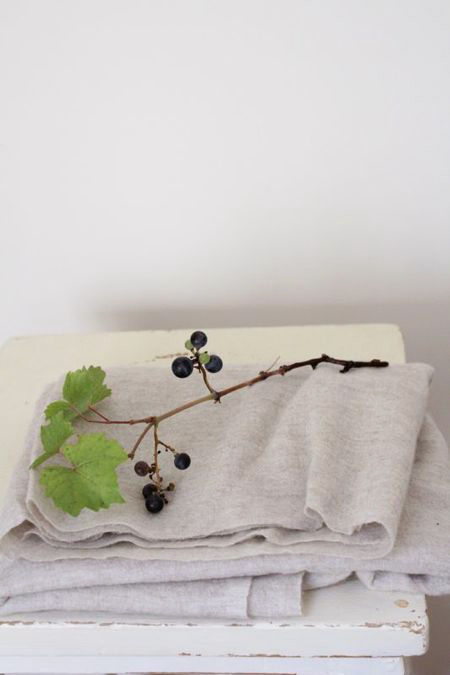 Become softer and look more natural after washed, as shown in photo in left (with grape hyacinth,with washed Jelly cloth. 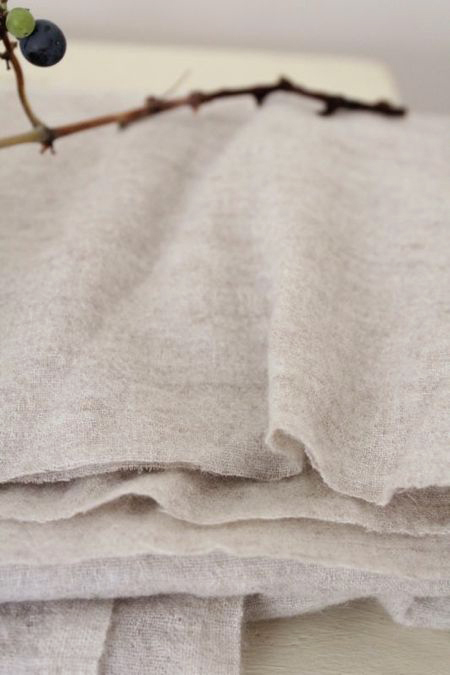 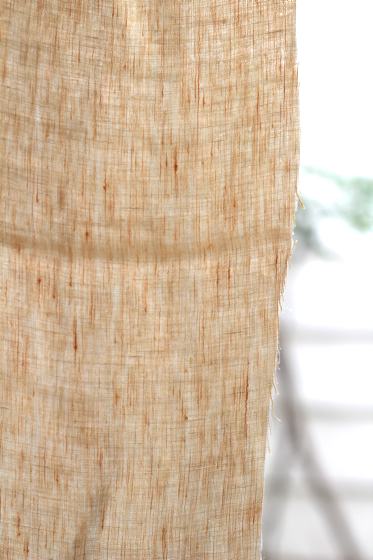 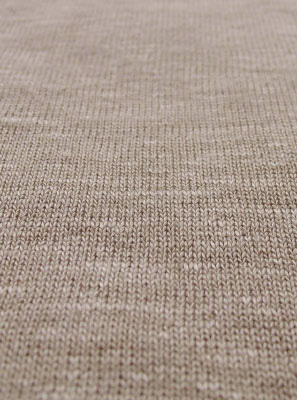 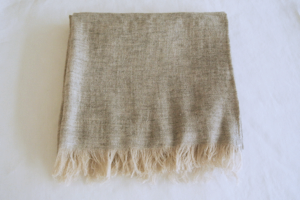 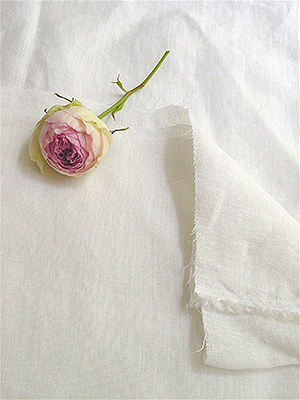 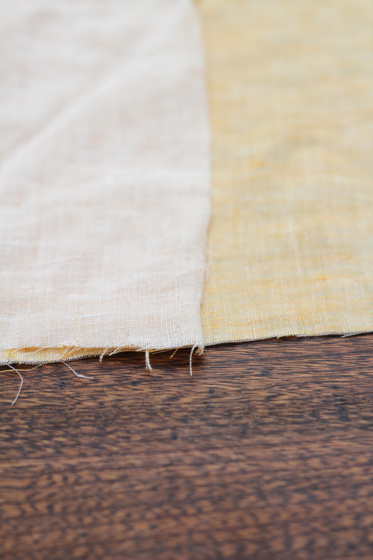 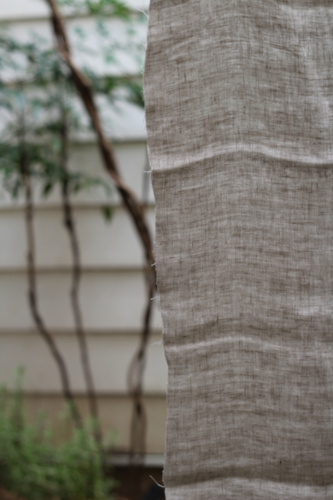 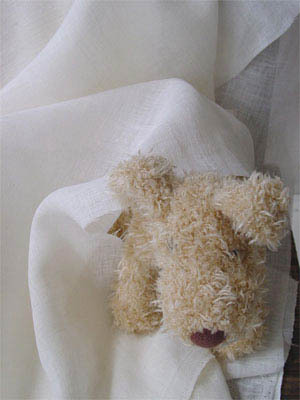 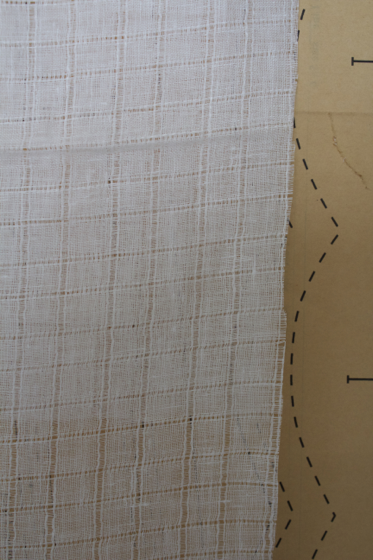 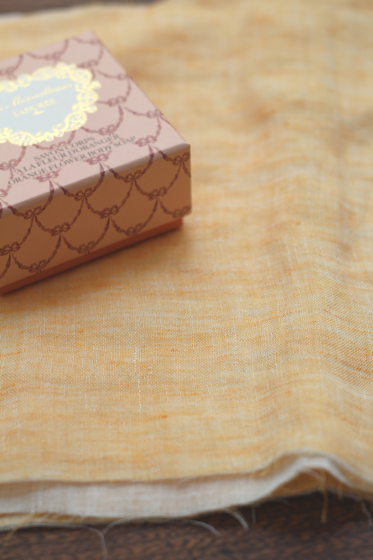 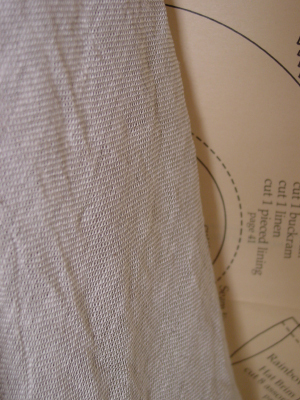 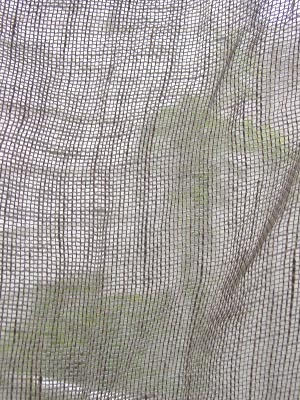 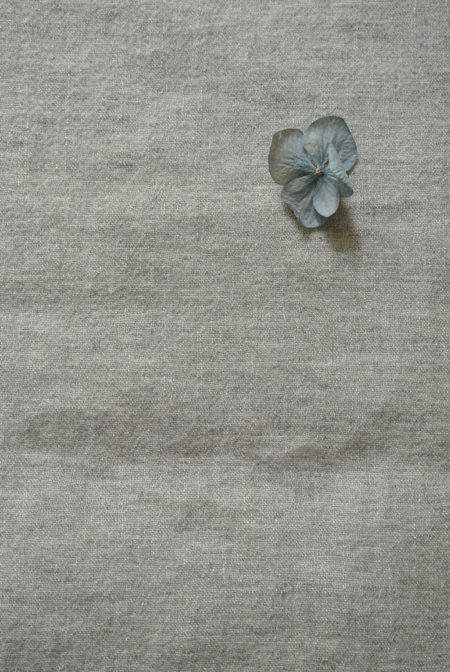 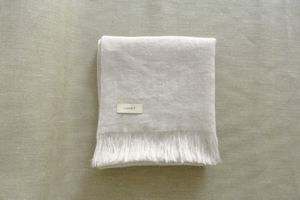 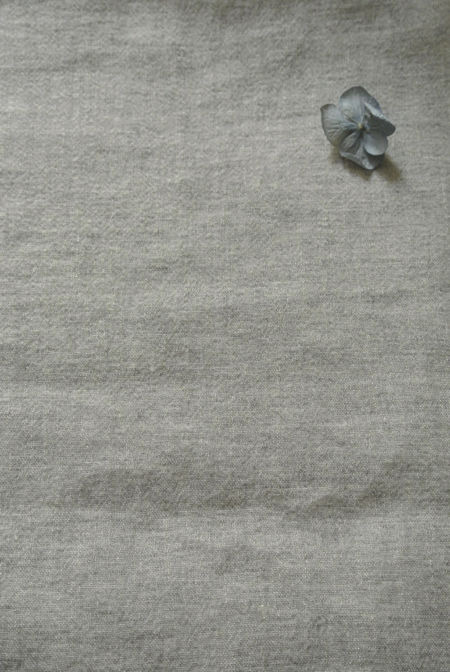 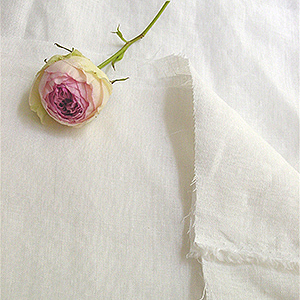 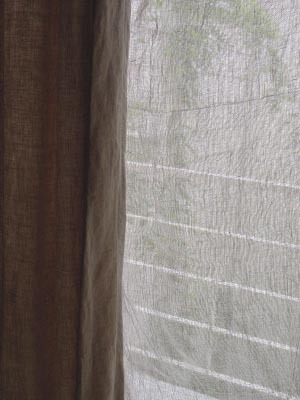 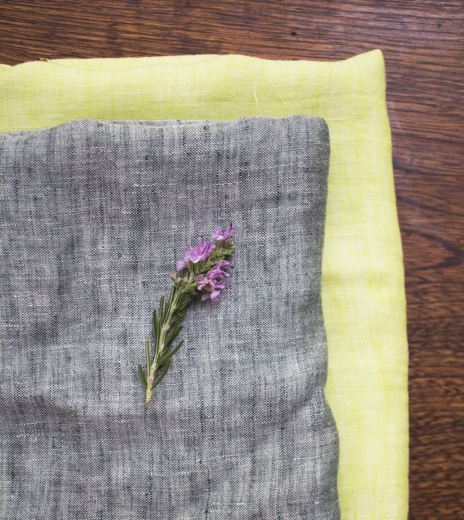 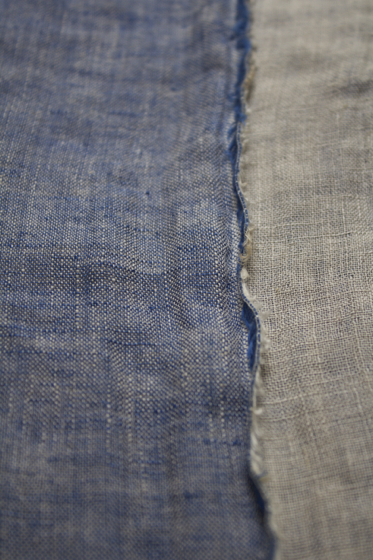 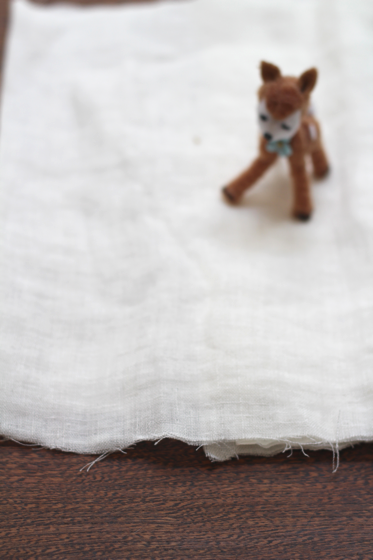 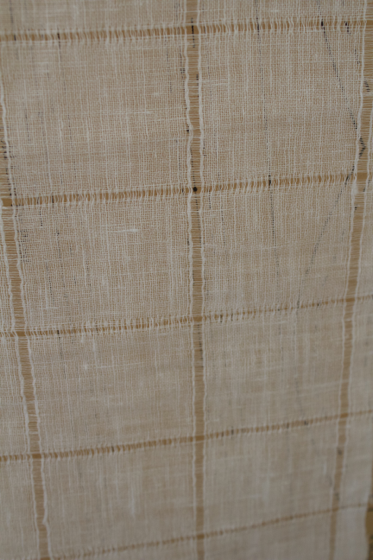 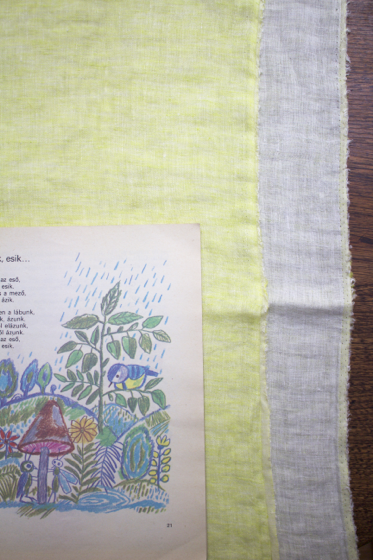 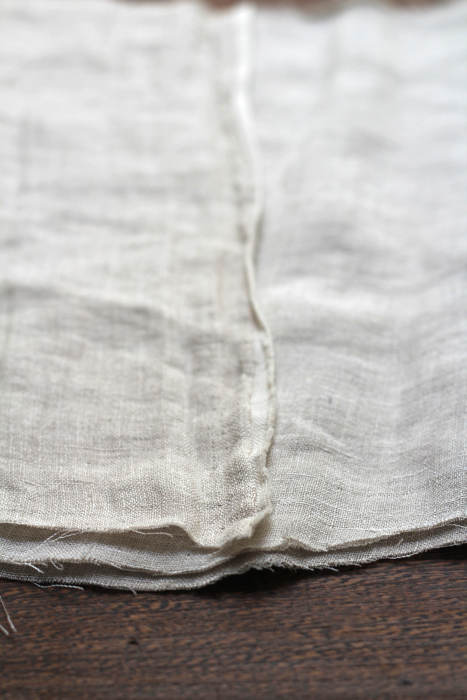 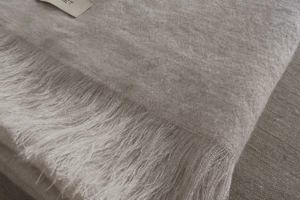 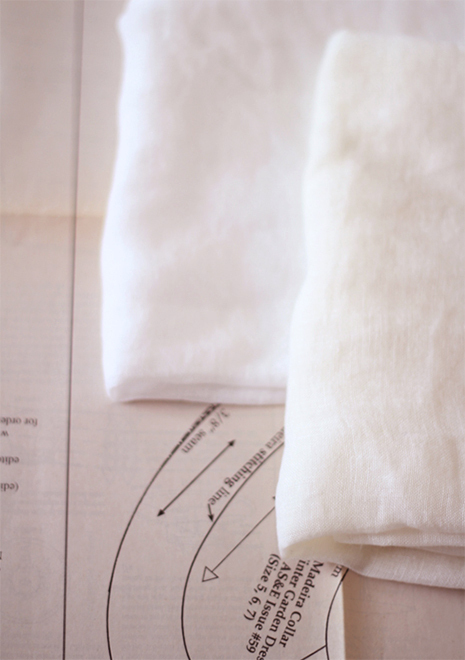 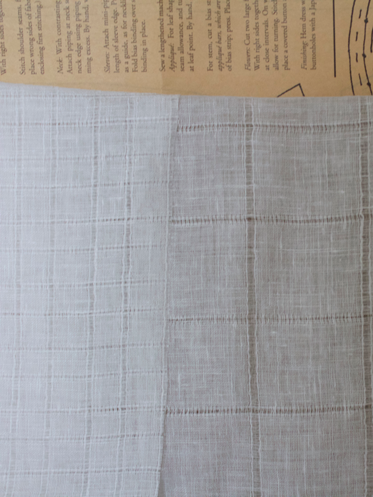 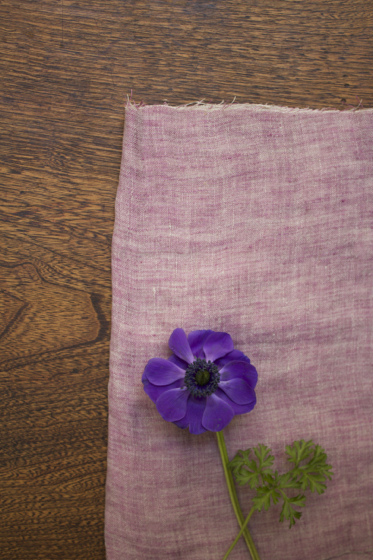 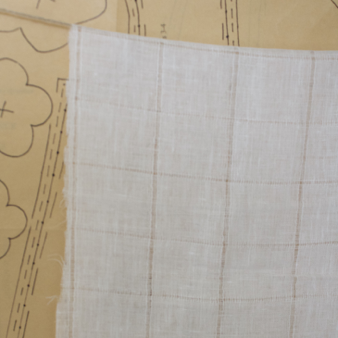 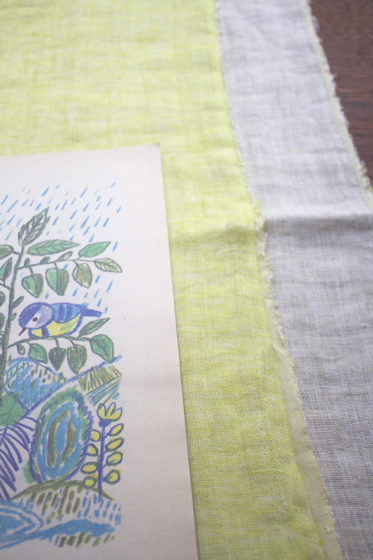 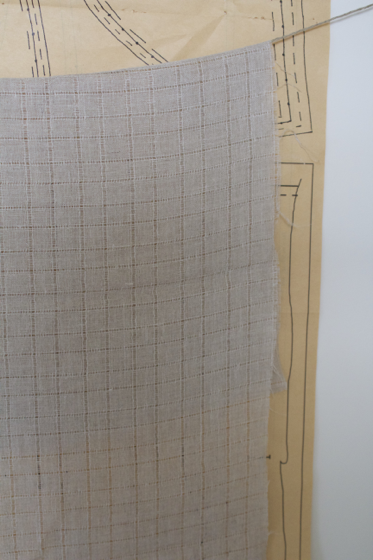 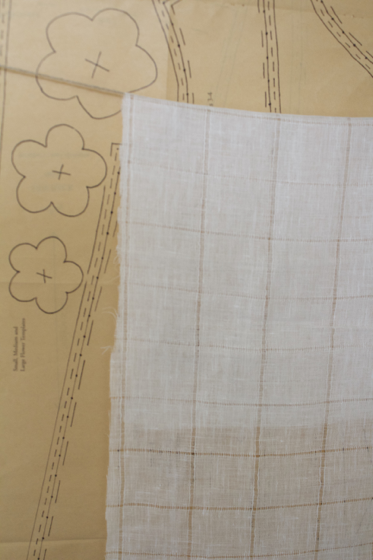 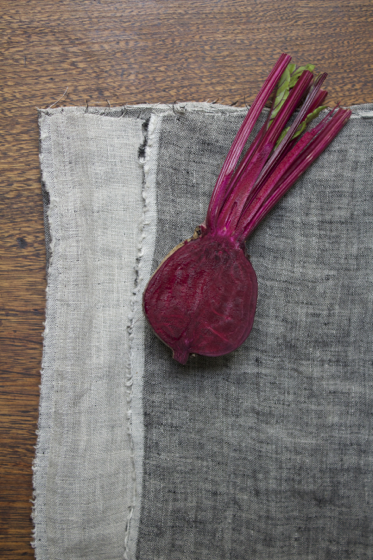 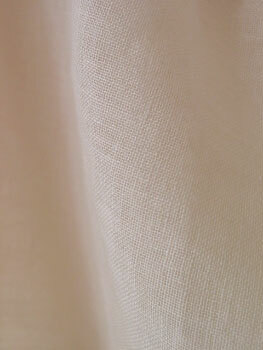 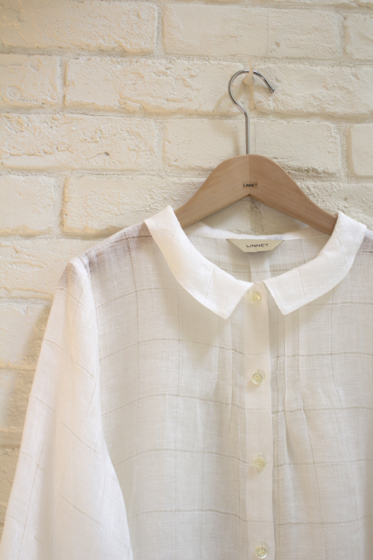 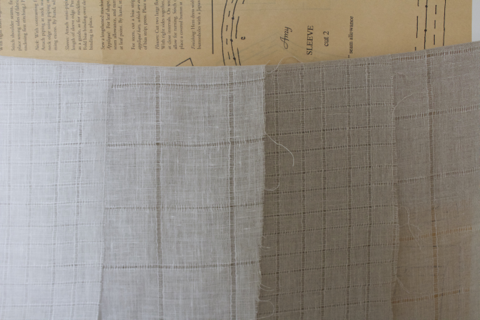 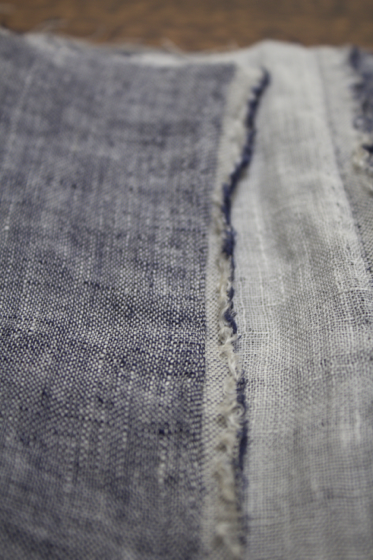 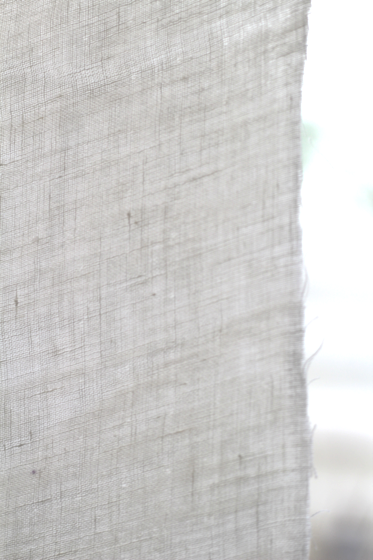 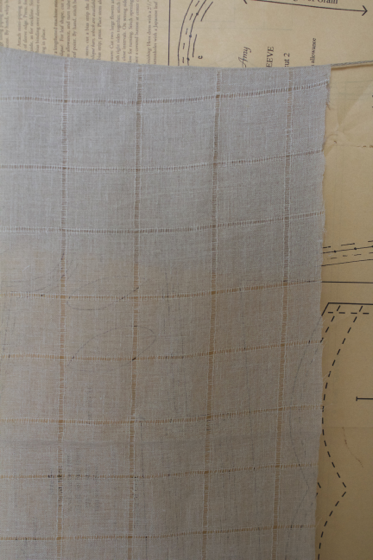 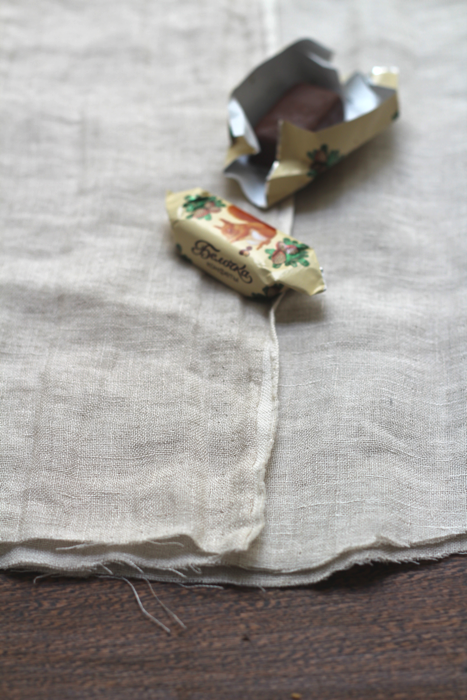 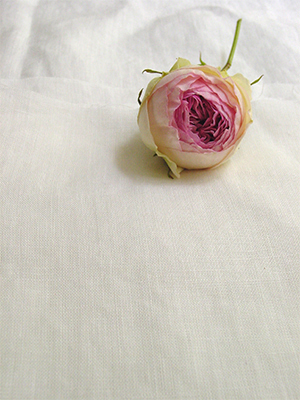 In this linen fabric, the weft comes in flax colour, with warp comes in off-white. 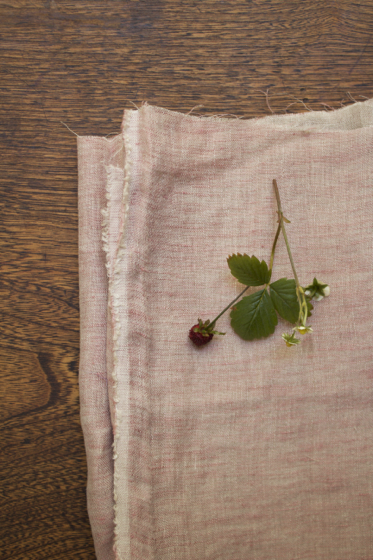 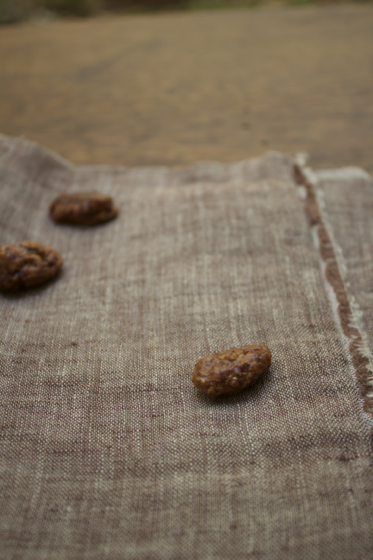 Rather open , originally used as the jelly making cloth but goes nicely as the curtain, scarf and also for clothings.